"How many more sleeps?" 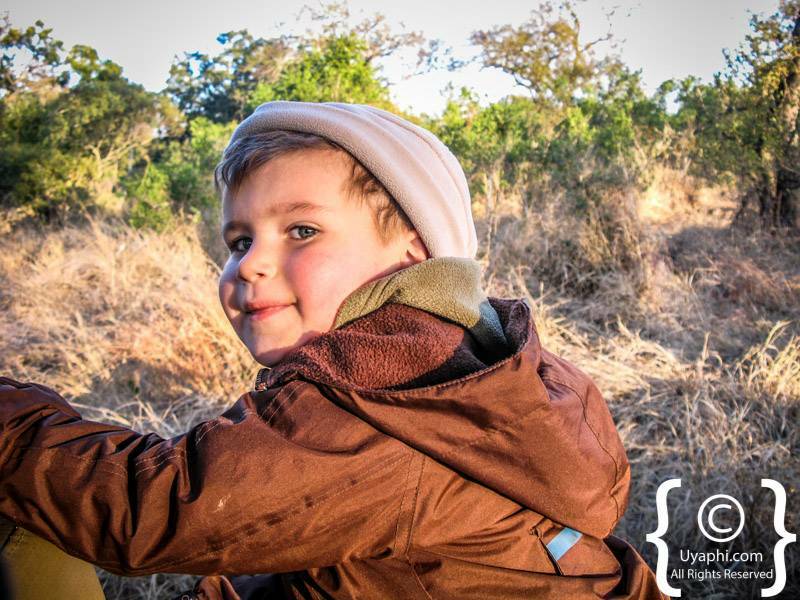 this became our sons wake up call as the days neared for his first ‘safari’ to the Greater Kruger National Park. 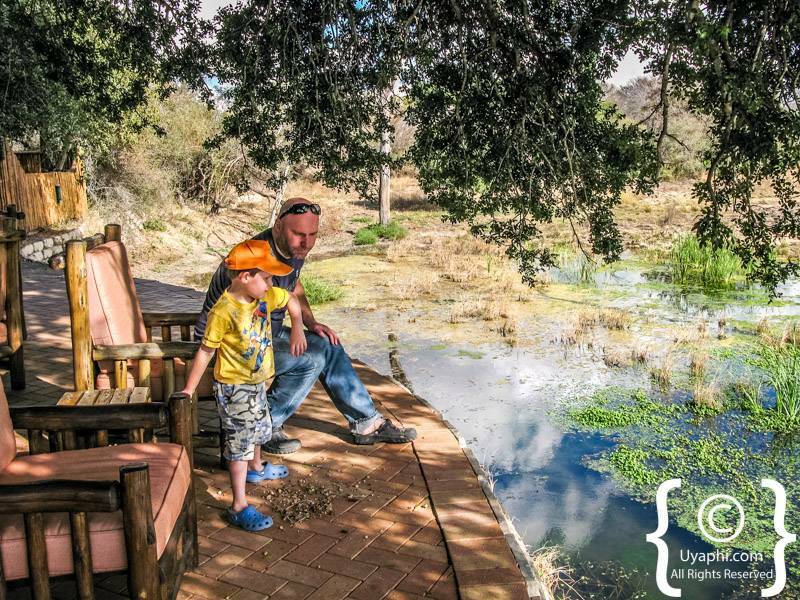 James and I had decided to combine a bit of family time, with a quick update of the 'family friendly lodges' in the greater Kruger area. With the mid-year school holidays coming to an end, it really was one of the best times to travel to the area, peak season game viewing at low season rates. July falls into Low season (in terms of rates here in South Africa), but game viewing is exceptional as the summer rains have been and gone and vegetation is lower, allowing for some great sightings. I was determined to break my 11-year 'hoodoo' for never seeing leopard and thanks to Richard on our very first night - hoodoo was broken! 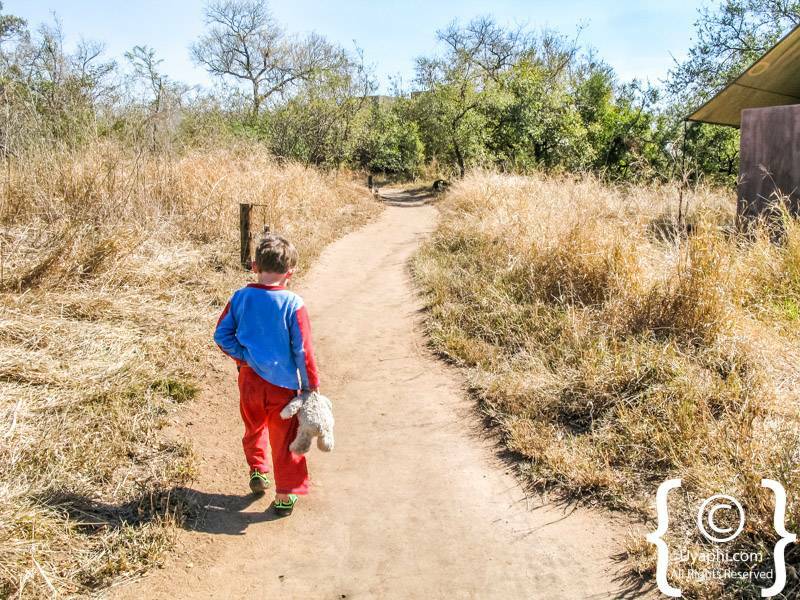 Thornybush Game Lodge welcomes families with little ones - Junior Ranger Pack supplied on arrival! So with Xavier armed with his binocs, new compass and Big Five guide book, Richard was on the trail of a female leopard. 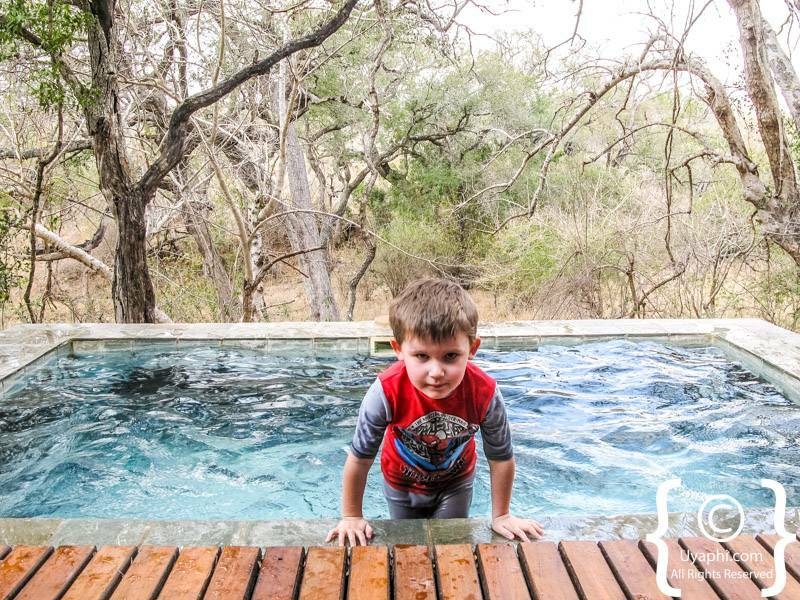 The family rooms at Game Lodge are more than spacious and even though the weather not entirely warm enough for me, Xavier felt that the private plunge pool was 'pretty cool'! Meals taken out on the deck - which was enclosed for dinner on account of the weather - were diverse and filling. Sundowner drinks in the dry creek bed, complete with candles and fire were a real treat. 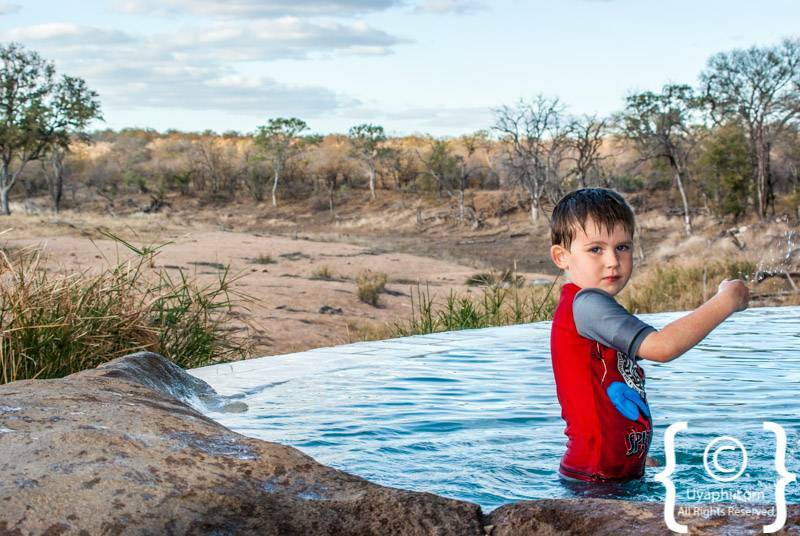 Although we are only staying one night, I feel that Thornybush Game Lodge, as well as Serondella Lodge (part of the same portfolio of Thornybush Collection lodges), are definite options when travelling with the family. In the 24 hours we were there Elephant, Lion, Leopard all spotted, as well as a vast array of plains game. Kids are well entertained by not only the staff but the natural surroundings. We made our way the following morning, not too far away to the Manyaleti Reserve and Honeyguide Khoka Moya. I LOVE tented camps, so for me, this really was a treat and although a rather cold evening - the beds were more than warm and inviting!! A great touch is the hot water bottles, not only in your bed but on the evening and early morning game drives. 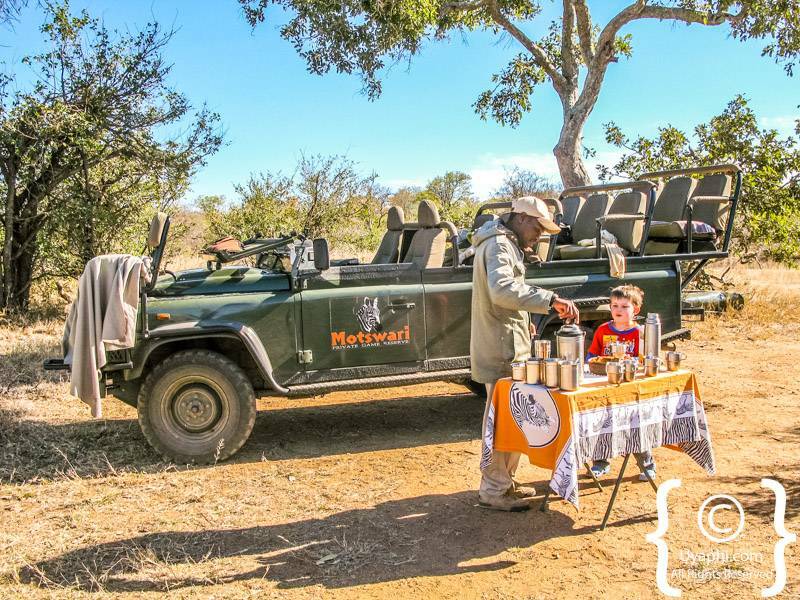 Very geared up for children, with kids meals on request (although the grown-up food was much appreciated by Xavier), activities for kids around camp and guides who really do know how to talk to smaller first-time safaris goers. Thanks again to another Richard for keeping up the breaking of the leopard hoodoo - a fine sighting of a female feasting in a tree after a kill (which we just missed)! Again with just the one night, we really were lucky to see Elephant, Buffalo, Leopard, amazing birds as well as plains game in abundance around the main dam. For me Honeyguide Khoka Moya has that real 'safari feel to it - I guess it's the tents!. For those not wanting to take the kids with - Honeyguide Mantobeni is no under 12's - so an option for everyone in this wonderful community-based reserve. The Sabi Sand is sometimes referred to as the 'Hollywood of the bush' - although the 5-star lodges have just about every convenience you can think of and rarely do you leave without seeing the Big Five - it really is a special place. We were lucky enough to have a night at Chitwa Chitwa and were totally spoilt with our night in the new Chitwa House! WOW, what a great place for the family to just sit back, chill and relax. The lodge had most of the public areas destroyed by fire earlier this year and although incredibly heartbreaking, what has risen from the ashes is nothing short of 'stunning'. If you want a bit of luxury in your life, just that once, do yourself a favour and have a night or two (if not three) here. We were fortunate enough to be able to take a private vehicle out and Dean made the drive well worth it. With James very much the photographer of the family, he was able to concentrate on not only stills but also video for some great moments. Xavier thoroughly enjoyed a shorter drive, but that was nothing compared to the boma dinner and his only private fire for roasting marshmallows! The northern Sabi Sand lodges work together nicely and most have very good ‘off road’ traversing rights, so is it all 'Tinsel Town'? ... not really and let's face it – whoever didn’t dream of living it up just a little!! Our longest drive would take us from the Sabi Sand to one of the furthest lodges in the Timbavati Reserve. This has long been a favourite reserve of mine and it was great to touch base with the lodges here. Often not considered by many travellers, the reserve boasts the Big Five, great birding and lodges that offer a real 'wildlife' experience. Motswari being no exception to this. It has been 'in the family' for so long that when you arrive as a repeat guest, you feel like a long-lost cousin who is popping in after time away - you catch up where you left off. Even though the lodge was full and we were unable to secure a family room (with two bedrooms) the room we had for the three of us was more than ideal. If only travelling with one small child, the elephant room right at the end is a great option! 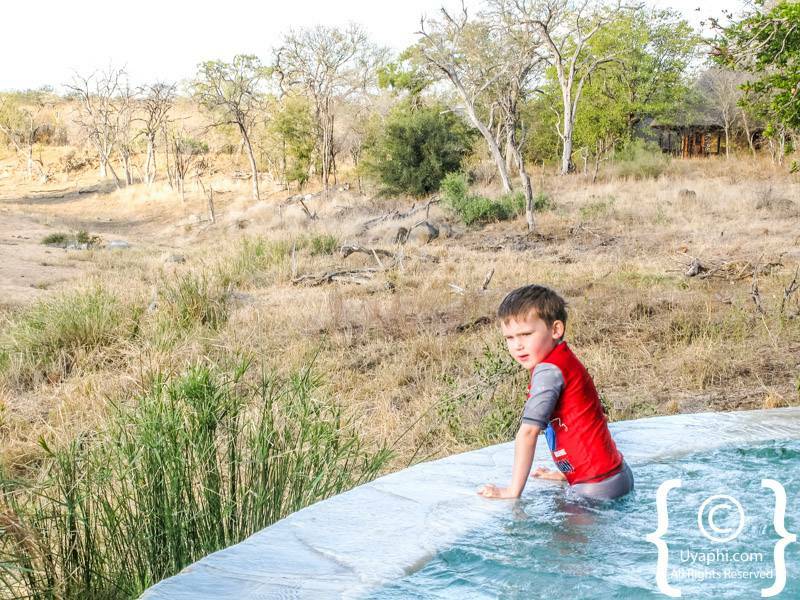 Although like most of the camps we stayed at, unfenced, Xavier amused himself on our stoep and even braved listening to the elephants come past that night and of course the curious warthog the next morning. For that little bit extra a private vehicle and guide can be arranged (especially if there aren't a lot of young child families in residence) and Chad made sure we had one of the best drives for our time away! What a breathtaking sight to watch 4 herds of elephant come together at the dam; I'm not sure who was more curious us of them, or the young bulls of us in are Landrover! We were also lucky to see one of the huge male lions that roam the reserve; he even posed for a couple of photos! We also visited Gomo Gomo Game Lodge, which has recently relocated from one side of the Timbavati to the other (now very close to the Klaserie reserve). Their main areas overlook a wonderful dam and Xavier and I passed on the afternoon game drive to relax and take in the sights and sounds. Family rooms are more than spacious (with two bedrooms), but just watch the gas geysers - if the pilot light goes out and you don't notice you could end up with one full cold bath!! But I think we really did save 'the best' till last. Being on safari and the choice of the lodge that one stays in really is just that a personal 'choice'. We have always been a big supporter of Umlani Bush Camp and what we encountered summed up why. With no electricity and their fire as the hub of their camp - it really was a back to basics wilderness, bush experience. Don't get me wrong though, the donkey boiler showers are hot - and there's something about an outdoor shower that gets you feeling like you are on safari. The meals are without a doubt some of the best we had encountered and the ambience and bib of the lodge as a whole takes some beating. Quite often it is the people that make a place and Umlani has some of the happiest, most knowledgeable, welcoming people working for it - a real credit to the local community. 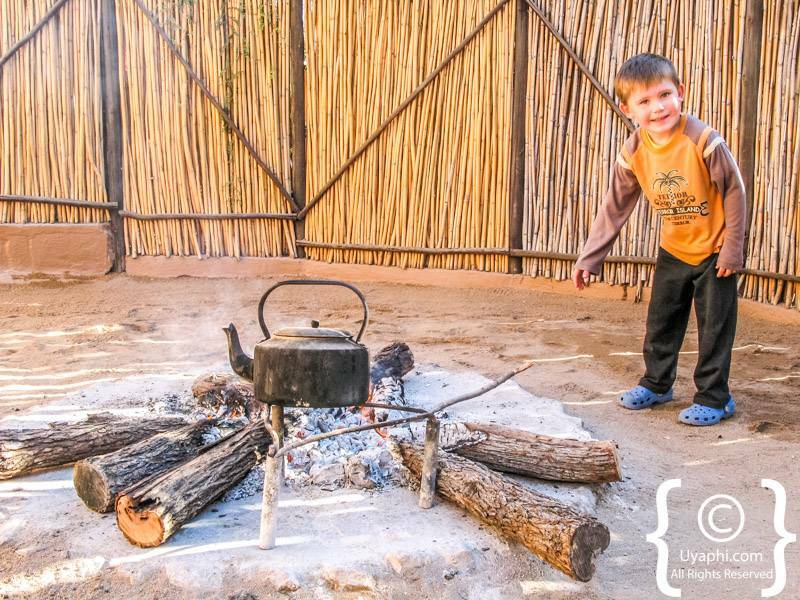 This was also Xavier's favourite place - he was fascinated that the fire could be the 'life' of the lodge and all that it was capable of doing - starting the boilers, making the hot water for the morning coffee and of course cooking our fine supper. Travelling with small ones can often be tiring and exhausting for parents, but a safari into what lies on our doorstep really need not be this. There is so much to see, do, learn and experience. Xavier has nothing but fond memories of his first safari and an album of pictures to prove it. The only problem now..... "How many more sleeps till we next go to Kruger Park"? ?